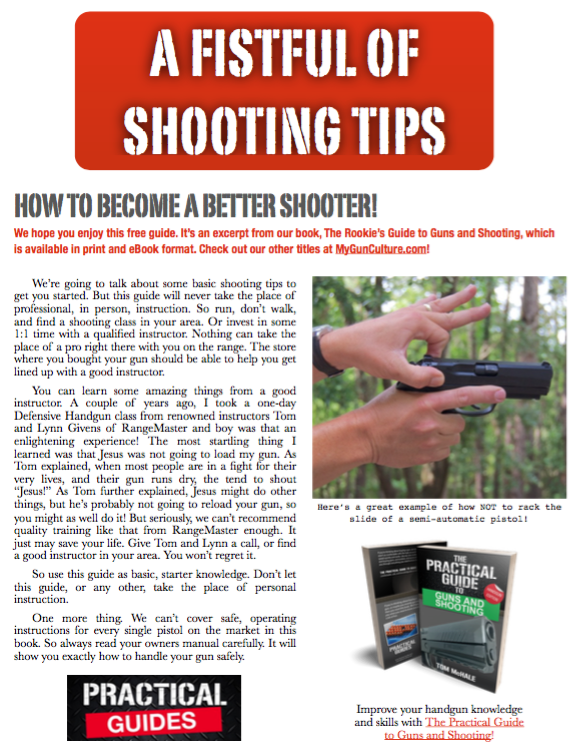 While this article was originally written for gun retailers, I thought you might enjoy it as it has some handy tips for quickly zeroing your rifle scope. Hope you enjoy! Now that we know how far the point of impact is from the point of aim, it’s time to implement the math. Going back to your example, suppose the bullets hit 2 inches high and 1 inch left. Now it’s time to correlate that difference in point of impact with the effect of each click of the windage and elevation dials. If this scope is a ¼-MOA-per-click variety, then each click will move the point of impact ¼-inch at 100 yards. We’ll need to spin the elevation dial enough to move the point of impact down 2 inches. Since each click is ¼-inch, that would be eight clicks down. We also have to adjust 1 inch to the right, or four clicks to the right using the windage dial. I really enjoyed your article and will use your services to educate others and increase my knowledge and skill set. Thank you. Thanks Ted! Appreciate the kind words and am glad you found this article helpful. ok I’m confused. IN the example the shots were 2″ up and 1″ top the left. So the cross haiirs need to move up and to the left. So why did he say ( 1/4″ MOA) 8 clicks DOWN and and 4 clicks RIGHT? Think of the click adjustments on the turrets moving the point of impact of the bullet rather than the crosshairs. So, in that example, we’ve moving the bullet strike point down 2″ and to the right 1″ to put those impacts on the center of the target. The markings on the scope turrets when they say “down” or “right” actually mean moving that point of impact “down” or right” rather than moving the crosshairs up to the point where the bullets initially hit.